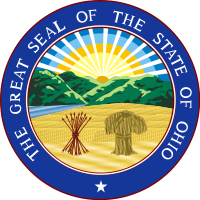 In August, the Ohio’s state budget office predicted the state would end the fiscal year with a $368 million surplus, but rather than direct funding toward rural broadband deployment, Kasich said he wants to provide a tax cut. Approximately $68 million of the surplus would go to the Rainy Day Fund, increasing it to $2.75 billion. Legislators have suggested using Rainy Day funding to pay for broadband deployment, but Kasich has resisted. While legislators from both sides of the aisle seem ready and willing to get rural Ohioans connected to better Internet access, Kasich has his sights on other priorities. In early 2017, his 2018/2019 budget proposal included $750,000 to create the Ohio Institute of Technology, a new division in his office. That proposal was stripped out if the budget. The administration’s “Technology First” approach appears to provide funding to research organizations to work on a range of issues such as autonomous vehicles, smart highways, cybersecurity, biomedical discoveries, and accessibility for the disabled, but does not appear to dedicate any funding to deployment. The Third Frontier Fund pays for much of the research. Lawmakers from both major parties in Ohio’s House and Senate appear ready to embrace the concept of allocating dollars for rural broadband deployment. They have a source of funding and they have a model for how best to manage and distribute that funding. Governor Kasich can still seize the chance to bring better connectivity to his constituents by supporting Ohio’s broadband bills. The legislature resumes its work in late September.